Record Store Day 2017 promises over 500 vinyl releases | What Hi-Fi? With exclusive releases from David Bowie, Iggy Pop, The Cure and a re-release of the Space Jam soundtrack, Record Store Day 2017 could be the biggest and best yet. From Adam Franklin to The Zombies, there are loads of great Record Store Day deals in the pipeline this year. With over 500 releases listed on the RSD website (also downloadable as a 69-page PDF), including exclusives from Animal Collective, David Bowie, The Flaming Lips and a re-release of the Space Jam soundtrack, you're sure to find something you like. 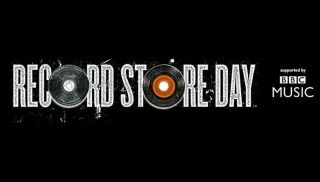 The event on Saturday 22nd April marks the tenth anniversary of Record Store Day, spanning a remarkable upturn in vinyl's fortunes. Organisers are hopeful that this year's sales will top the previous high. Rega has also produced an exclusive Record Store Day turntable, based on the RP3. It features the same plinth, running gear and 12mm glass platter as the RP3, the tonearm from the Planar 1 and comes with a custom RSD mat. If you already own a turntable but need some assistance to set it up properly, then we have a guide for that too.